Our research seeks to provide a scientifically-sound evidence base for UK pond conservation and restoration practices aimed at restoring lost and fragmented pond populations and communities. 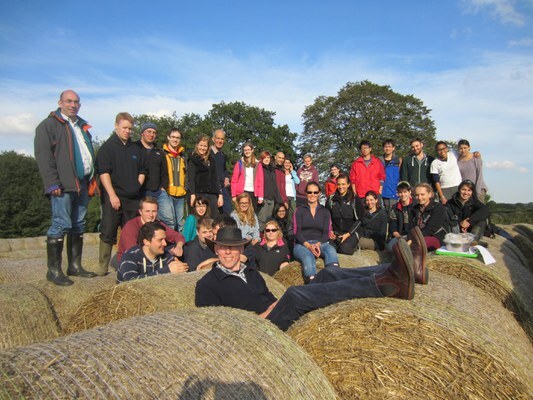 The UCL Pond Restoration Research Group is comprised of a diverse group of staff, researchers and research students each providing their own unique contribution. Team leader, Dr Carl Sayer has a life long love of ponds and pond species and is especially passionate on the need to recognise the conservation value of ponds in aquatic landscapes. He has expertise in the ecology and palaeoecology of algae, aquatic plants and pond fishes, especially the crucian carp and European eel. Carl co-founded the Norfolk Ponds Project with Helen Greaves. 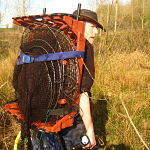 Fieldwork technician Ian specialises on the Crucian Carp project, but provides valuable assistance on all field visits, bringing 20 years of fieldwork and practical thinking to the team. This ranges from ‘on the spot’ inventions, to designing and fabricating specialised equipment such as the Big Ben piston corer. The conservation of biodiversity in agricultural and forested landscapes has been the main focus of Jan’s research for more than 15 years. He is particularly interested in the ecology and diversity of insects and provides specialist expertise on aquatic-terrestrial linkages and biodiversity statistics. 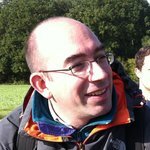 Ewan has over 20 years of experience working within the ECRC at UCL performing ecological research and consultancy. He is a passionate natural historian, with specialist expertise in the fields of amphibian and aquatic plant survey and conservation. 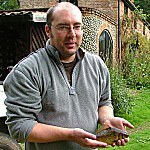 He has undertaken aquatic plant surveys all over the UK and is also a licensed Great Crested Newt surveyor. Dave Emson is an Honorary Fellow in UCL Geography and is currently researching pond palaeoecology, as well as crucian carp and European eel conservation in ponds. He recently completed a PhD at UCL exploring the ecological engineering effects of duckweed (Lemna spp.). His interests include diatom ecology, plant and animal macrofossil analyses, crucian carp population ecology and conservation and marl pit restoration ecology. Emily’s PhD focused on the restoration of ponds lost to agricultural land reclamation - so-called Ghost Ponds. 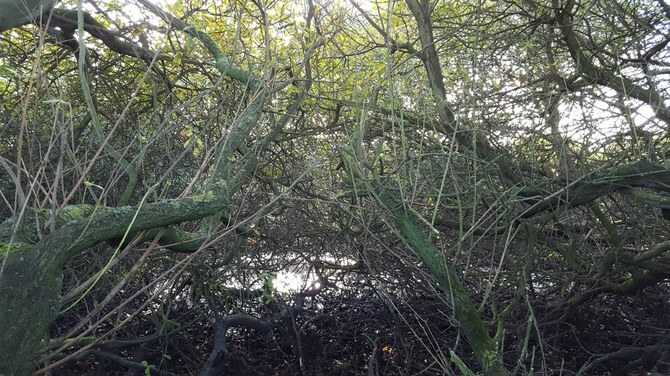 She mapped historical pond loss in Norfolk, exploring how the fragmentation of pond landscapes may impact upon the biodiversity value of remaining ponds. Her work involved ecological surveys of existing and restored ponds and mesocosm & microcosm experiments focusing on the role of seedbanks in pond restoration ecology. 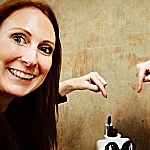 Emily is currently working in he USA but is still an honorary member. Richard's background is in Plant Biology (BSc) and Environmental Science (MSc). He is currently embarking on PhD research focused on the process of pond terrestrialisation. He is keen to understand implications of pond terrestrialisation for pond ecology, especially macrophyte succession, by use of a palaeoecological approach. Richard is also examining how terrestrialisation affects macrophyte communities and in turn plant-pollinator relationships. Jonathan is jointly based at the Natural History Museum (with Steve Brooks) and UCL. 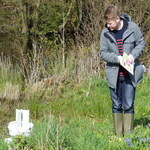 His PhD research focuses on the contribution of pond management to farmland bird diversity and abundance. His work involves ecological surveys of bird, invertebrate and plant populations at both managed and unmanaged (overgrown) farmland ponds. David joined the team after completing the MSc in Aquatic Science at UCL.His PhD research focuses on landscape-scale changes in aquatic biodiversity resulting from the restoration of farmland ponds. 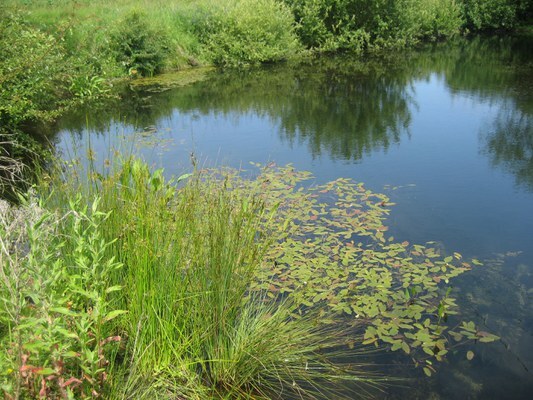 The project involves a study of pond landscapes before and after restoration, focusing especially on macrophyte and aquatic invertebrate communities. Steve Brooks has worked at the Natural History Museum, London, since 1979. 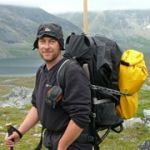 His research focusses on environmental change and the ecology, palaeoecology and taxonomy of freshwater insects, especially midges and dragonflies. He is currently chair and a founder of the Riverfly Partnership. The crucian carp (Carassius carassius) is a small greeny-gold, beautiful little cyprinid fish that is in a steep decline across large tracts of Europe. Its stronghold in the UK is eastern England, especially Norfolk, where in the past it was widespread in farmland ponds. Since 2008, inspired by an Environment Agency announcement, that the species was “thought to be virtually extinct in Norfolk”, we have been searching for the crucian carp and concerned with its conservation. To this effect the crucian carp was established as a Biodiversity Action Plan (BAP) species in Norfolk in 2010 (Copp & Sayer, 2010), its first formal conservation designation in the UK. Responding to the crucian carp’s decline and with a view to recovering the species, the Norfolk Crucian Carp Project was established in 2009. With much support from Cefas (Gordon Copp) and Bedwell Fisheries (Keith Wesley) we have now undertaken fyke-net surveys of 90+ Norfolk farmland ponds, many of which are known to have contained the species in the 1970s-1980s. This work shows an approximate 75% decline in the species over the last 30-40 years (Sayer et al. 2011). Currently we know of 24 wild populations of crucian carp in Norfolk, although many of these populations are either dwindling (consisting of a few old individuals), or contaminated by crucian carp hybrids with goldfish and/or common carp. 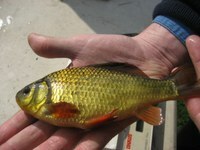 We believe the major cause of crucian carp decline to be pond terrestrialisation, which prevents them from recruiting. To help fulfil the requirements of the Norfolk crucian carp BAP, we have enacted a programme of pond restoration and crucian carp re-inroduction, using the few remaining healthy wild crucian populations as donors. To date the Norfolk Crucian Carp Project has undertaken 8 pond restorations and crucian carp re-introductions to 11 ponds, many of which are known to have been successful. Recently our work was covered in an article by angling author John Bailey in the Anglers Mail and has helped to inspire a National Crucian Conservation Project run by the EA and the Angling Trust (Carl Sayer & Dave Emson are project members). Norfolk holds more ponds than any other English county with over 23,000 currently present. Most of these ponds are located in farmland, and have their origins as marl or clay pits and in some cases livestock-watering ponds dug in the 17th to 19th centuries. 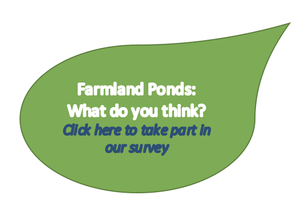 Ponds can provide vital clean freshwater environments in farmland and can be wonderful habitats for aquatic biodiversity covering plants, invertebrates, amphibians, fishes, and mammals. Nonetheless, despite all of this, farmland ponds are severely threatened by land reclamation, inappropriate encroachment of trees (especially over the last 30-40 years), nutrient-enrichment and invasive species. Using a combination of before and after studies and comparisons of managed, open canopy and non-managed overgrown ponds, our research is investigating the response of pond ecosystems to restoration involving scrub and sediment removal. In addition, we have examined the influences of native fish (e.g. crucian carp, tench, 9-spine stickleback) and pond terrestrialisation on biodiversity in pond landcapes. This work alludes to the importance of a mosaic approach to pond conservation with a landscape containing ponds at different stages of succession (a continuum from open to overgrown ponds) and native fish, enhancing aquatic biodiversity (Sayer et al. 2012; 2013). Our research shows rapid and dramatic increases in biodiversity following pond restoration, with ponds colonised by several aquatic plant and invertebrate species within less than 6 months. In addition recent studies show open-canopy managed ponds to be important for populations of farmland birds, likely through enhanced provision of insect (emerging adults) and plant seed food. Our work is informing pond biodiversity conservation strategies in farmland and underpins the work of the Norfolk Ponds Project. The Ghost Ponds Project is exploring a completely novel approach to pond conservation; the re-excavation of ponds filled-in (especially since the 1950s) for agricultural land reclamation. These lost ponds are what we have call “Ghost Ponds”. 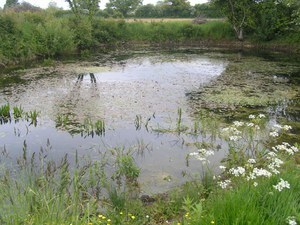 It is often difficult to completely erase a pond from the landscape. Even after a pond has been in-filled, a damp depression, or circular crop mark often remains, a lingering 'ghost' of the former habitat. These ghost ponds are abundant and easy to identify in certain areas of the UK, including Norfolk, where we have thus far undertaken most of our research. Ghost ponds hold an exciting potential; buried within these sites are the historic sediments from the former pond, and within these sediments the seedbank of past pond plants. We are investigating the viability of these historic seedbanks, and exploring how re-exposing them contributes to the re-colonisation of aquatic plants. 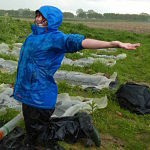 A combination of pond ‘resurrections’ and restorations, field mesocosms, and greenhouse germination trials have been used to uncover the role the historic seedbank could play in pond conservation. Remarkable, we have found that excavated ghost ponds, even those which have been buried for over a century, re-colonise rapidly with aquatic plants, due to a still viable seedbank covering various pondweeds (Potamogetonaceae) and stoneworts (Characeae). For more information on the Ghost Ponds Project, and to see how the ponds in our study have been progressing since they were excavated visit: https://ghostponds.wordpress.com and see some recent coverage in New Scientist. Lewis-Phillips, J., Brooks, S., Sayer, C.D., McCrea, R., Siriwardena, G. & Axmacher, J.C. (2019) Pond management enhances the local abundance and species richness of farmland bird communities. Agriculture, Ecosystems & Environment, 273, 130-140. Sayer, C.D., Shilland, E., Greaves, H., Dawson, B., Patmore, I.R., Emson, D., Alderton, E., Robinson, P., Andrews, K., Axmacher, J.A. & Wiik, E. (2013) Managing British ponds – conservation lessons from a Norfolk farm. British Wildlife, 25(1), 21-28. Copp, G.H. & Sayer, C.D. (2010). Norfolk Biodiversity Action Plan – Local species Action Plan for Crucian Carp. Norfolk Biodiversity PartnershipReference:LS/3. Each September the Pond Restoration Research Group undertakes practical pond restoration work and there is a call for volunteers to help. As well as supporting our research, this is a great opportunity to get outdoors, whilst the pond restorations assist local farmers. In 2014 two ponds were restored by a team from UCL assisted by the Norfolk Wildlife Trust (NWT), Norfolk Rivers Trust and the Norfolk Biodiversity Partnership as part of the Norfolk Ponds Project (NPP). A NWT press release and short video covering the event can be viewed here. In Sept 2016 we restored 5 ponds at Heydon Norfolk and at the same time demonstrated pond restoration techniques to Natural England agri-environment advisors. 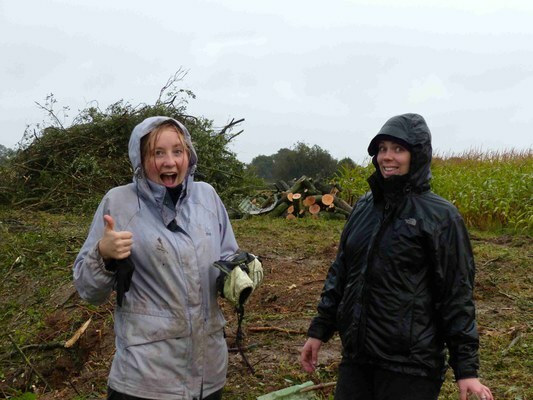 In Sept 2017 we ran pond restoration event linked to our 'Great Twin Pond Dig' Project in Bodham and Baconsthorpe villages (Norfolk) as supported by the British Ecological Society. Please see the 'Great Twin Pond Dig' tab below for more information. If you are interested in taking part in our next pond restoration or have a pond that you would like to restore please do get in touch. Each year the Pond Restoration Research Group aims to reach out to local community groups, farmers and conservation organisations. 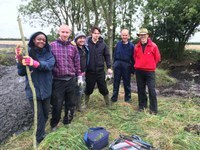 For example, in June 2017 the group ran a practical pond restoration work for Natural England staff. 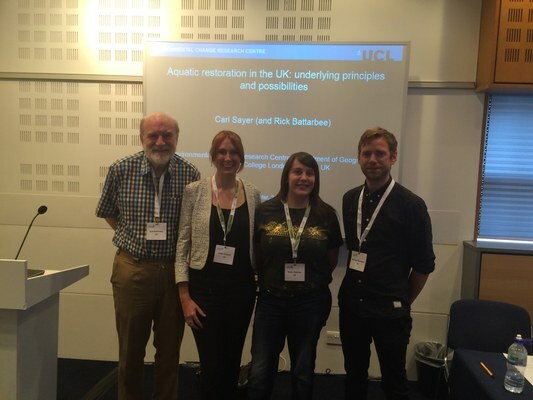 In 2015 members of the Pond Restoration Research Group presented their work in a special session on aquatic restoration at the SER 6th WorldConference on EcologicalRestoration in Manchester. Our research group is keen to share our research with other organisations, environmental volunteer groups and other sectors of society. Whenever possible, members of the Pond Restoration Research Group are willing to provide short talks about our work. Please contact us for more information. Team leader, Carl Sayer, convenes UCL's MSc Aquatic Conservation, Ecology and Restoration course. 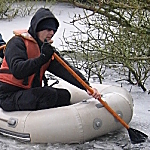 The MSc Aquatic Conservation, Ecology and Restoration provides an ideal foundation for PhD research, or for employment within environmental protection and conservation agencies, the water industry and environmental consultancies. The NPP aims to reverse the decline of Norfolk’s ponds so that agricultural landscapes contain a mosaic of clean water ponds with fewer ponds overgrown by trees and bushes. The project was conceived by Carl Sayer and inspired by the wonderful pond conservation work undertaken at Manor Farm, Briston (Norfolk) by Richard Waddingham. Through many years of careful management Richard has created a network of 40 high quality ponds which are full of species and afford clean water habitats in the upper Broads system. The Manor Farm ponds show that pond conservation and intensive agriculture can happily co-exist – a key message of the NPP. UCL’s contribution to the NPP is currently supported by Natural Environment Research Council funds provided to the UCL Office of the Vice-Provost (Research). 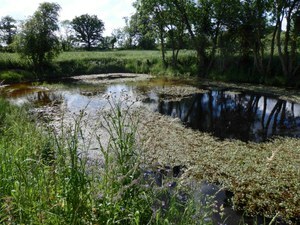 For more information about the Norfolk Ponds Project please visit our website, Facebook page or follow us on Twitter. You can also find more information in our NPP leaflet and Guide to Pond Restoration. 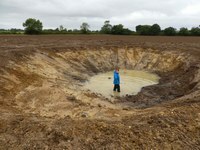 The 'Great Twin Pond Dig' is twinning the ponds of North Norfolk with those of West Lancashire – two areas of the UK that are rich in “marl pit” ponds. 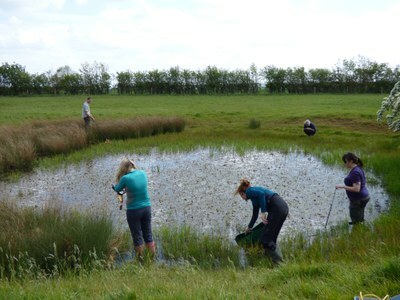 This project, funded by the British Ecological Society, will trial our “Adopt a Pond” approach idea and has the aim of re-connecting people and farmers with their local farmland ponds and with pond ecology and restoration. The project will explore new ways of getting people to interact with aquatic biodiversity through underwater filming and sound recording in collaboration with soundscape artist Action Pyramid. 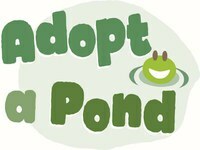 See our Blog and Twitter (#pondtwins #adoptapond) to follow the project and for regular updates. The BES is a thriving learned society established in 1913 whose vision is a world inspired, informed and influenced by ecology. It publishes six successful journals, an ecological book series and a quarterly newsletter, the Bulletin, which is distributed to its 5,000 members worldwide. 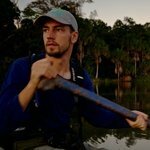 The Society provides grants to promote excellent ecological research, support early career ecologists, help fund training and travel, and to communicate ecological science as widely as possible. In recent years, over £300,000 per annum has been awarded globally through the various Society grants. The following short film provides more information on our pond restoration work. As a team, we are continuously learning more and more about ponds, pond restoration and the conservation of pond flora and fauna. You can keep up to date with our most recent research and field visits on our Pond Restoration Research Group Blog. If you would like to contact the pond restoration research group, you can email us on geog.ponds@ucl.ac.uk. You can also keep in touch with our most recent activities by following our blog or Facebook and Twitter accounts.